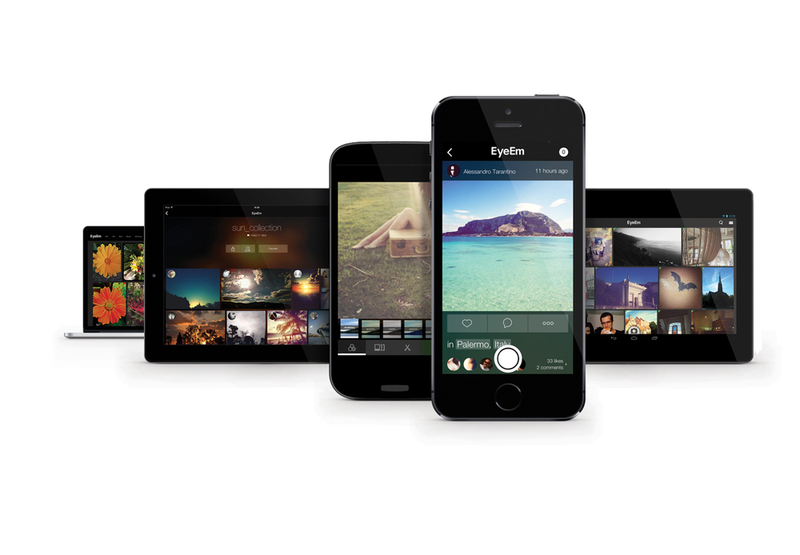 I've been wanting to write a reflection about EyeEm for a while, ever since I first started using it almost a year ago. 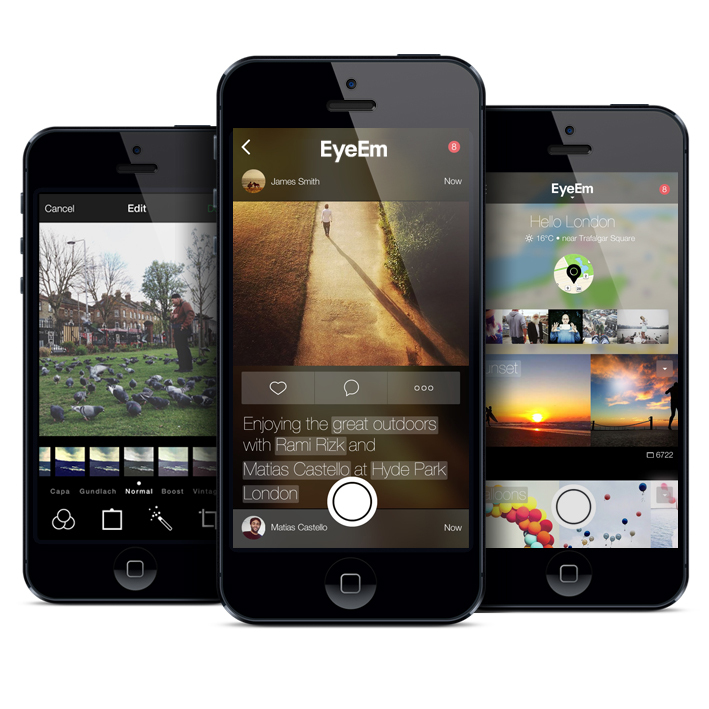 I was introduced to it while searching for alternatives to Instagram. At the time, I was seeking an alternative for two reasons: 1. I was using a Windows Phone and Instagram wasn't available at the time. 2. I wasn't pleased with Instgram's privacy policies. 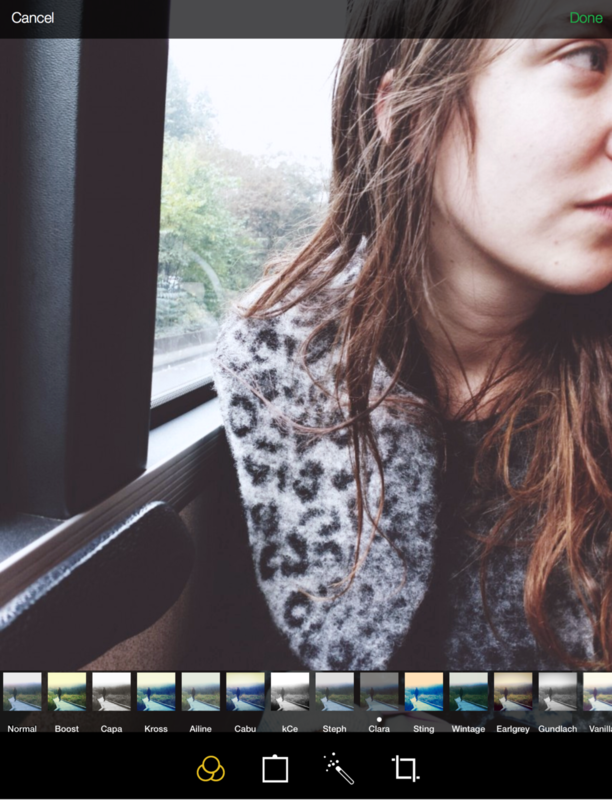 Fast forward to about a month ago I found myself again feeling something lacking from my experience with Instagram. I enjoy looking at the photos people post, leaving comments, and following the lives of those close to me through images. However, what I felt was missing was a deeper experience and connection. So, I thought I'd give EyeEm another go. 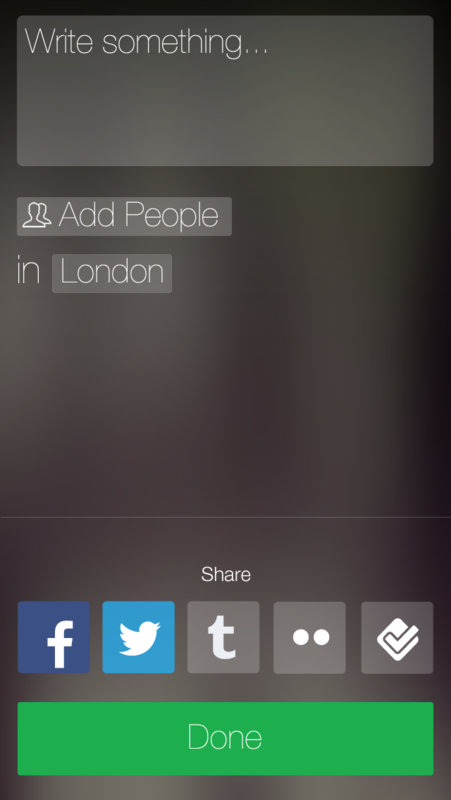 Instagram is about people sharing their lives through images (and now video). 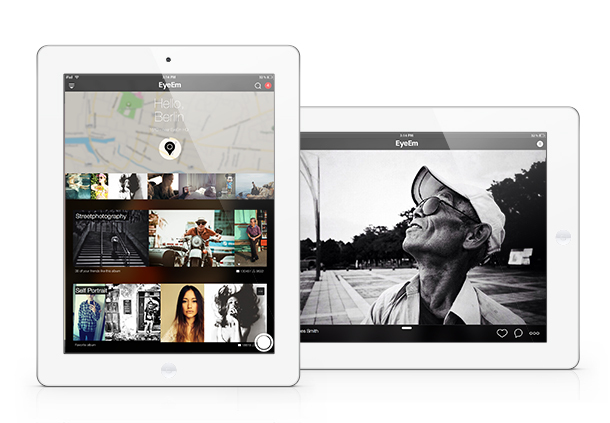 EyeEm is more about people sharing interesting photographs and art. One of the things I like most about EyeEm is the set of images I see when I open the application. For the most part, they're simply beautiful and I find that people are consistently putting up really cool work. 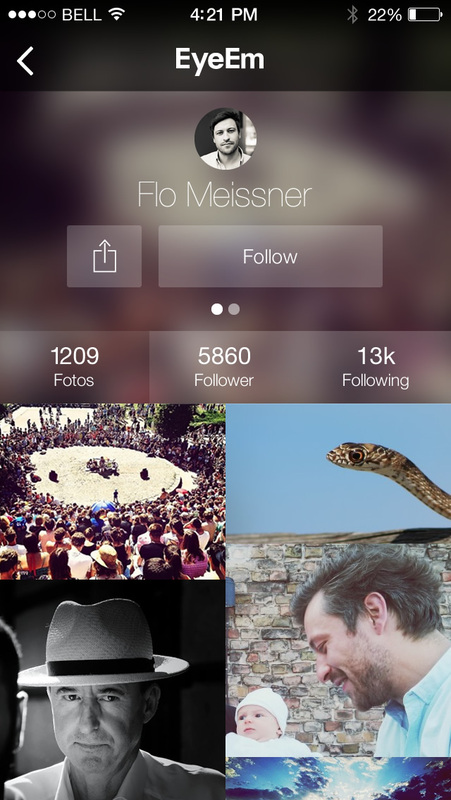 When I open the EyeEm application, the home page shows several albums that help me discover images I might like. 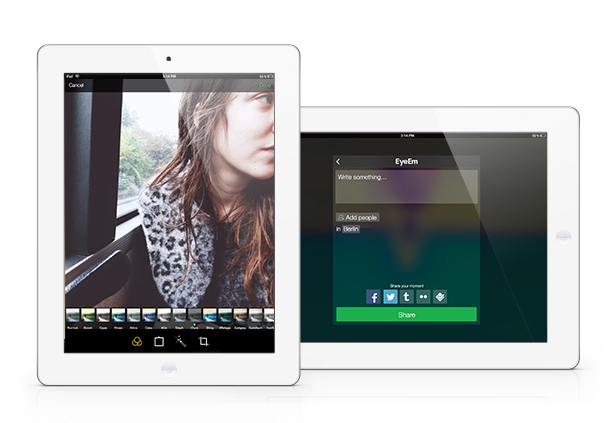 If you allow EyeEm to know your location, one of the albums will be "Live Near You." Other ones I like are "art," "blackandwhite," "Urban Geometry," and "street art" just to name a few. Rather than tagging all of your images with hashtags, you organize them in these albums. 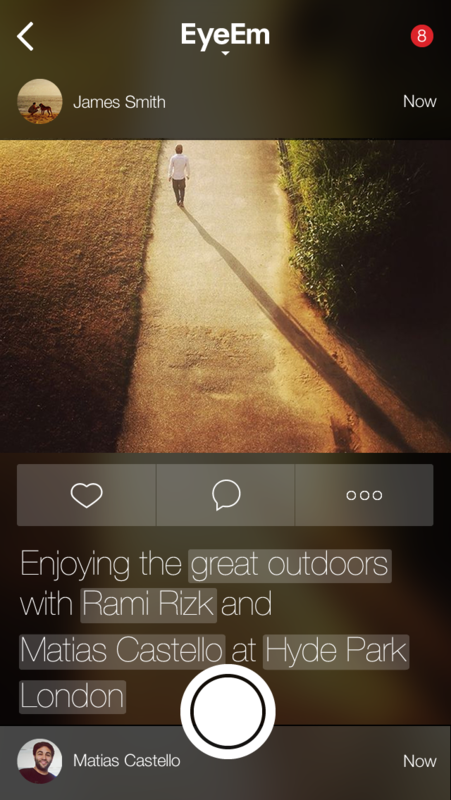 You can choose favorite albums, view the albums your friends have recently added photos too, receive recommendations from friends, etc., making it very easy to both discover and keep up with the kinds of images you like. I love the design. 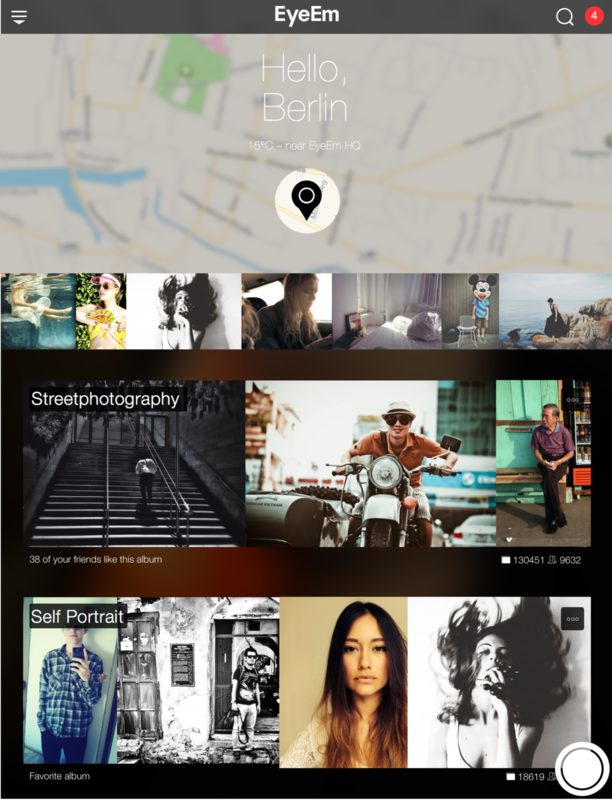 From both aesthetic and functional perspectives, I really find this application a joy to use. It flows well, easy to navigate, and places the focus on the work people do. When I look through the photographs people post on EyeEm I'm constantly impressed with the insightful comments people leave. This is one way I like to see digital photography put to use. I think it's important to find ways to harness the potential of digital photography rather than simply recreate the same experience we do with film. It's kind of like how television shows were merely adapted radio shows before we figured out how to use it as its own medium. I'm a big fan of both analog and digital photography. When I choose to use one over the other, it's often not a matter of technical qualities, but rather how they can be implemented as part of a larger story or conversation. 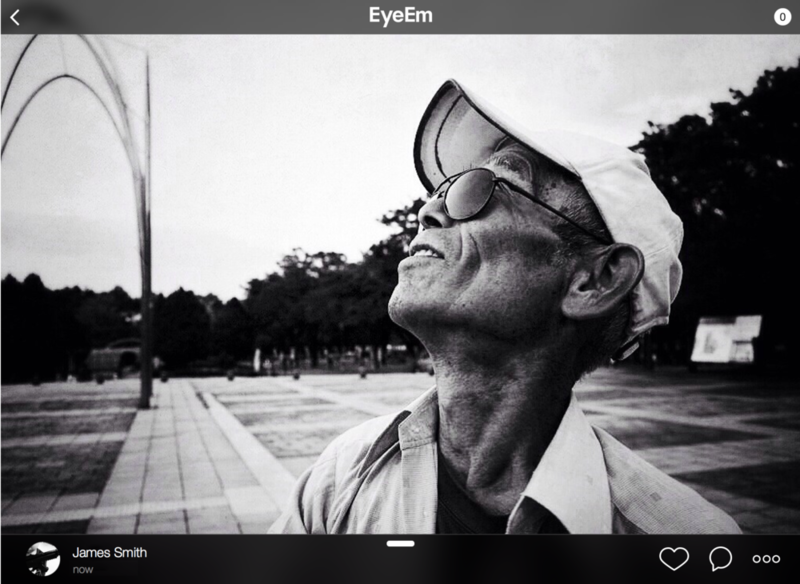 Besides lacking the ability to post photos, I can do almost anything on the EyeEm website that I can do in the application. Sometimes I'd rather look at the images and leave comments using a computer rather than my iPhone or iPad. Especially with photo sharing applications and website, it's easy to make one photo and post it to Facebook, Google+, Flickr, 500px, Instagram, EyeEm, Deviant Art, Tumblr, Foursquare, Pinterst, etc. I think it's really boring to simply repost the same content from one place to another. Each platform has their strengths, weaknesses, and communities and we should keep that in mind when choosing how to engage with them. Here's a quick rundown of the platforms I use and how I use them. However you decide to proceed is completely up to you. Instagram - This is my general sharing place. If there's something I think is worth sharing through images, this is my first stop. The idea here is that people can look at my feed and get a basic idea of what I'm up to. If it's something more notable, I'll even share it on Facebook when I upload it to Instagram. 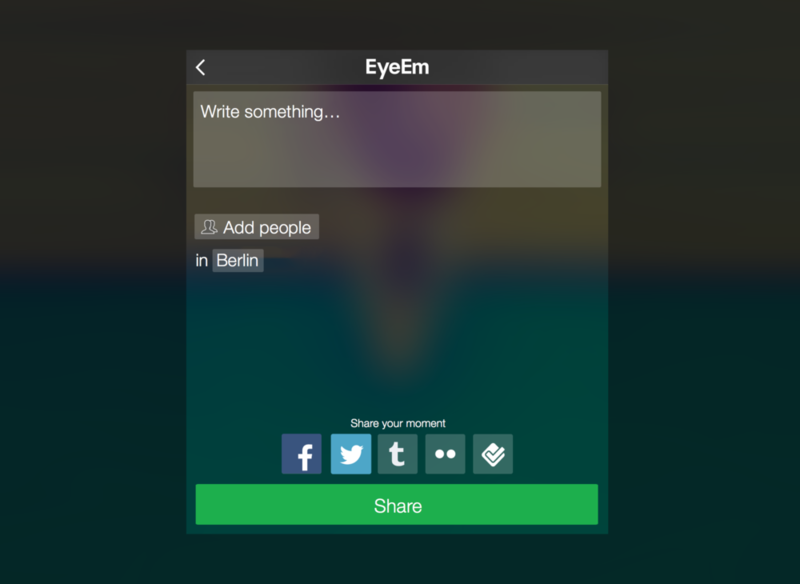 EyeEm - For anything that takes more effort, time, and creativity, I post it to EyeEm first. I don't post images of a party, meeting, dinner, etc. here. I post the images I'm truly intentional in creating. I often use the albums as ways to organize my thoughts and plan my shots. Flickr - I share work I'm particularly proud of as well as collections in progress on Flickr. Here's where you'll be able to find works like my "52 Rolls in 52 Weeks," "The New Jim Crow," etc. 500px - I only post images here I think are worthy of selling. 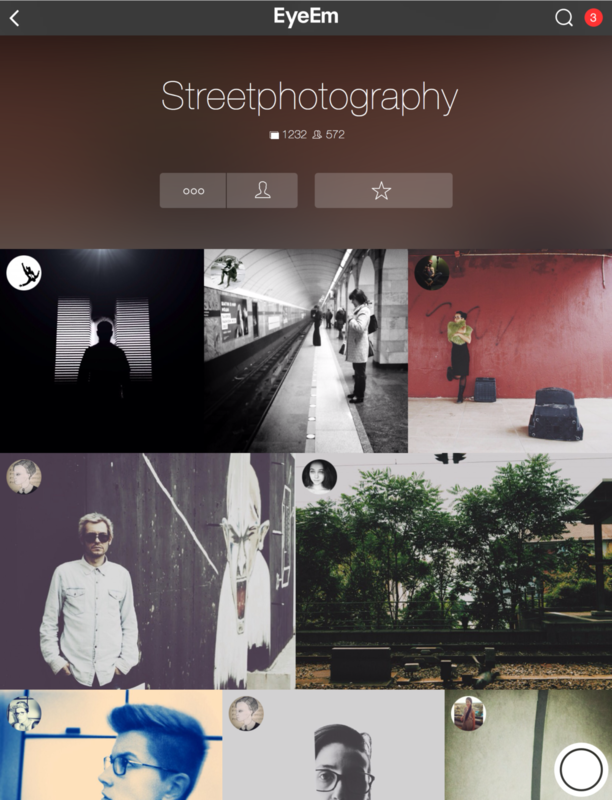 I like the community aspects of Flickr—as I find the feedback and suggestions really valuable. I see 500px as much more of a refined portfolio of my absolute best work. Okay, so there you have it. I hope you found this piece interesting. 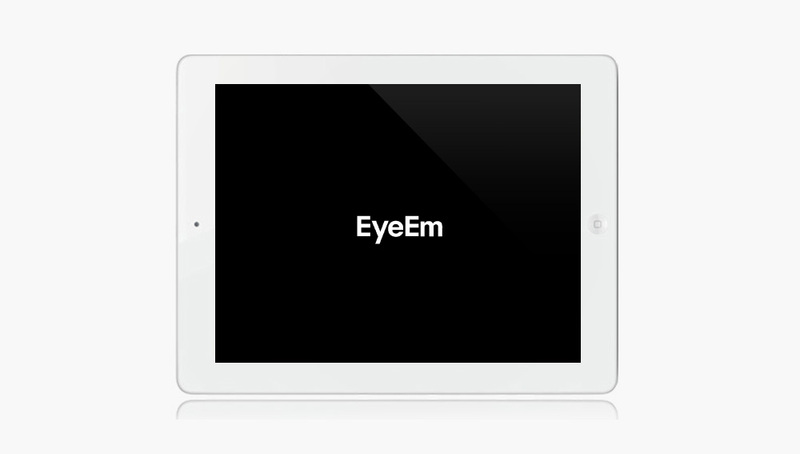 If you have any comments, please leave them in 140 characters or less with the hashtag #mbmEyeEm on Twitter. If you want me to see it make sure you address it to @michaelbmaine.